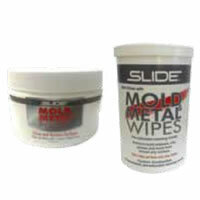 DME supplies an extensive range of Mould Shop Production Supplies to keep your Moulding Machines running. 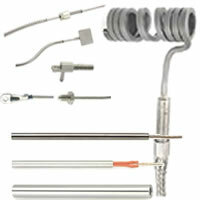 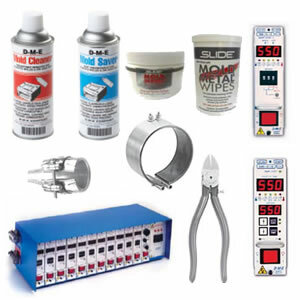 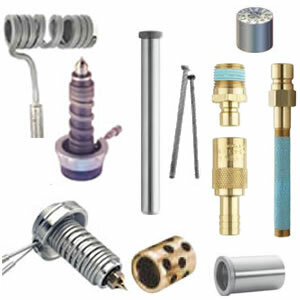 Our products include: Aerosol Sprays, Mould Wipes and Polish, Hopper Magnets, Nozzle Heaters, Nozzle Tips, Mould Clamps, Ejector Couplers, Purging Compounds, Machine Parts, Maintenance Supplies, Cooling Supplies, Temperature Controllers, Process Controllers, Sprue Gate Cutters and Trimmers and Barrel Cleaning Brushes and Brass Scrapers. 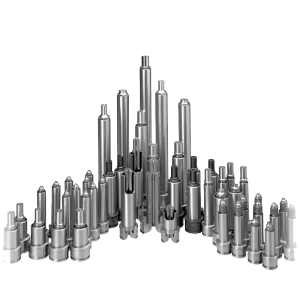 DME supplies an extensive range of Metal Stamping Punch & Die components for the Metal Stamping and Automotive Metal Pressing Industry. 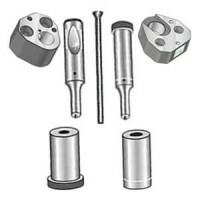 Our Tooling types include the Ball Lock Punch, Head type Punch and Die or Matrix. 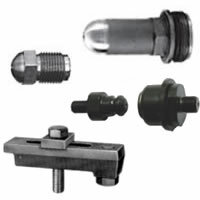 Our Punches and Dies are manufactured to ISO and NAAMS Standards. 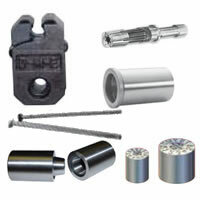 Other standard Automotive Pressing, Metal Stamping and Metal Pressing components such as Ball Lock Retainers and Urethane Strippers can also be supplied. 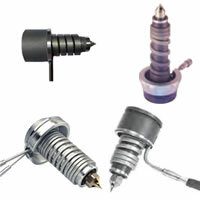 DME offers a large range of Plastic Mould Tooling Supplies for Injection and Blow Moulds. 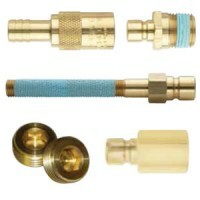 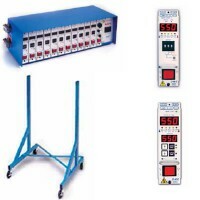 These products include: Hot Runner Systems, Hot Runner Nozzles and Tips, Coil Heaters, Cartridge Heaters, Thermocouples, Jiffy Cooling Sockets and Connectors, Guide Pins and Bushes, Ejector Pins and Sleeves, Mould Components, Cutting Tools and Polishing and Finishing Equipment.